The fixture was played as a 10 a side game, with three players, Beth, Matthew and Archie making their debuts. Captain Raam won the toss and elected to field first. The bowling figures show that Ciceley and Harry were the least inaccurate, each bowling only one wide. Raam, Archie and Harry took wickets as Rockliffe posted a decent total of 285 net. 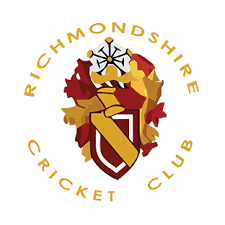 The Richmondshire score built slowly in the first three pairings, as only Beth and Bobby went undefeated, Bobby hitting a four in his 9 not out. Ciceley and Harry then ran enthusiatically, Harry hitting two fours, before the last pair of Raam and Benedict arrived at the crease. Raam scored 15 and Benedict 6, with Raam on strike and needing to hit the last ball for four to win the game. A faint edge trickled to the Rockliffe wicketkeeper, so the honours went to Rockliffe, after what had been a very enjoyable sunny evening.